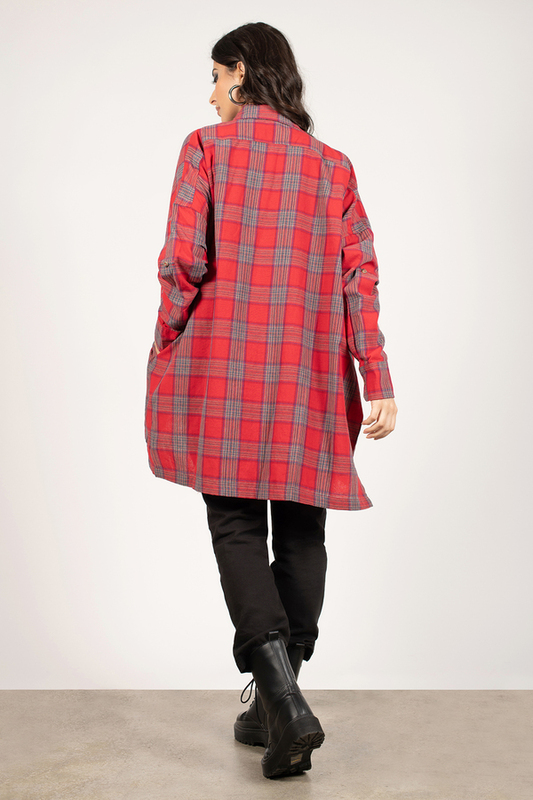 Check out Tobi's Plaid To The Bone Tunic Top Cozy up in the Red Plaid To The Bone Tunic. 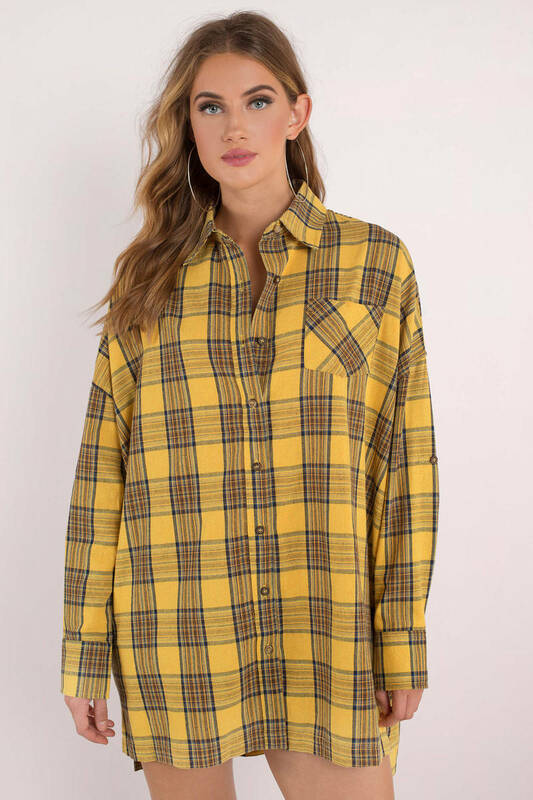 This oversized button up tunic is better than your average flannel. Wear tucked in with mom jeans and combat boots for a rustic look, or wear as is for a relaxed lounging 'fit. 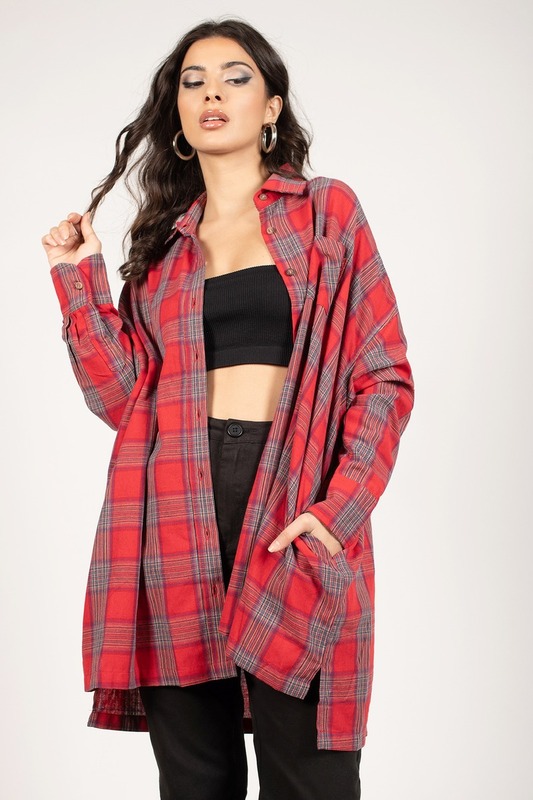 Cozy up in the Red Plaid To The Bone Tunic. This oversized button up tunic is better than your average flannel. 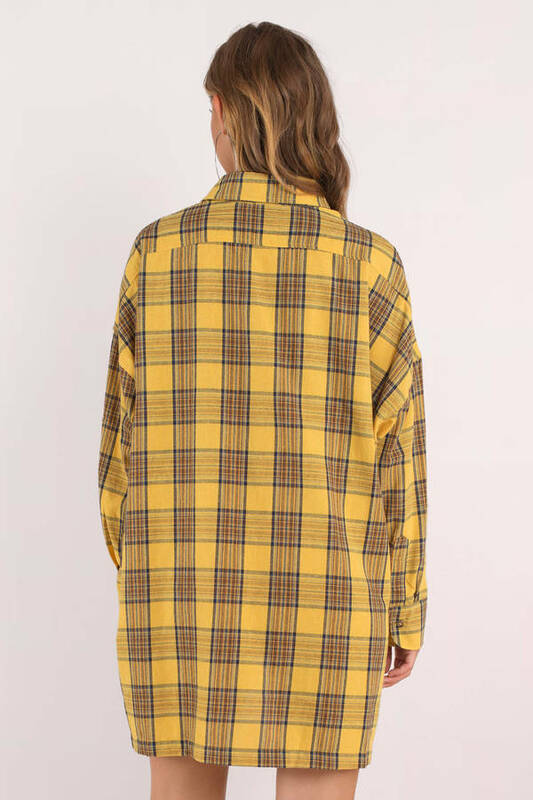 Wear tucked in with mom jeans and combat boots for a rustic look, or wear as is for a relaxed lounging 'fit. 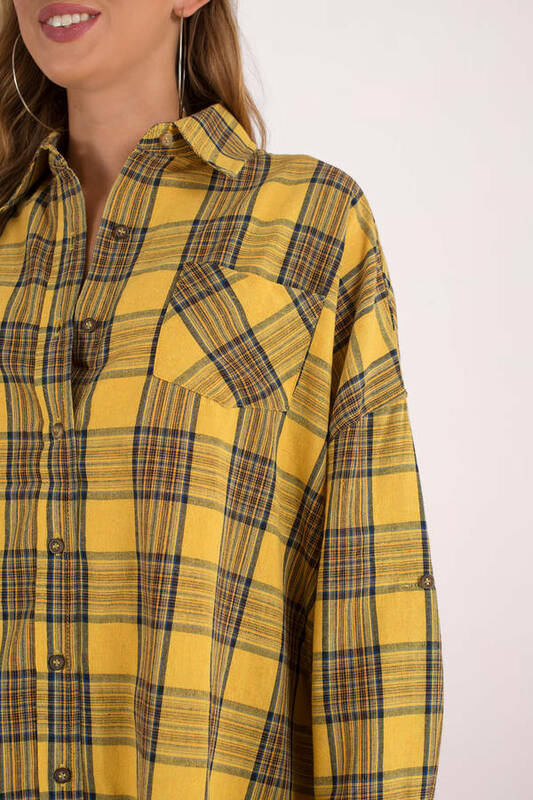 Cozy up in the Yellow Plaid To The Bone Tunic. 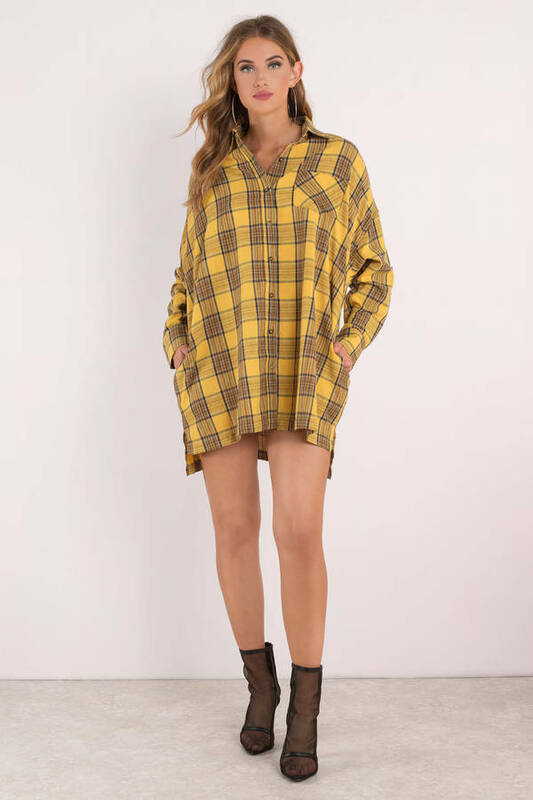 This oversized button up tunic is better than your average flannel. 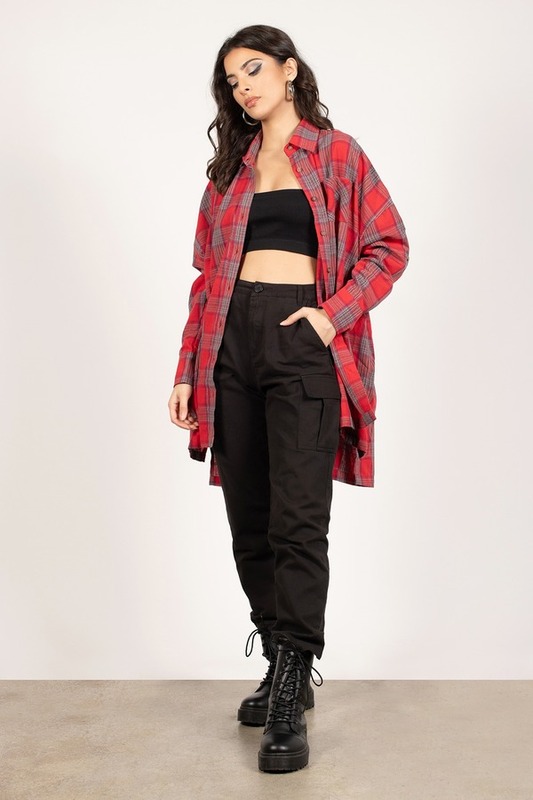 Wear tucked in with mom jeans and combat boots for a rustic look, or wear as is for a relaxed lounging 'fit.